To make this more vegetarian-friendly, substitute water for chicken broth and omit the chorizo. 1.) 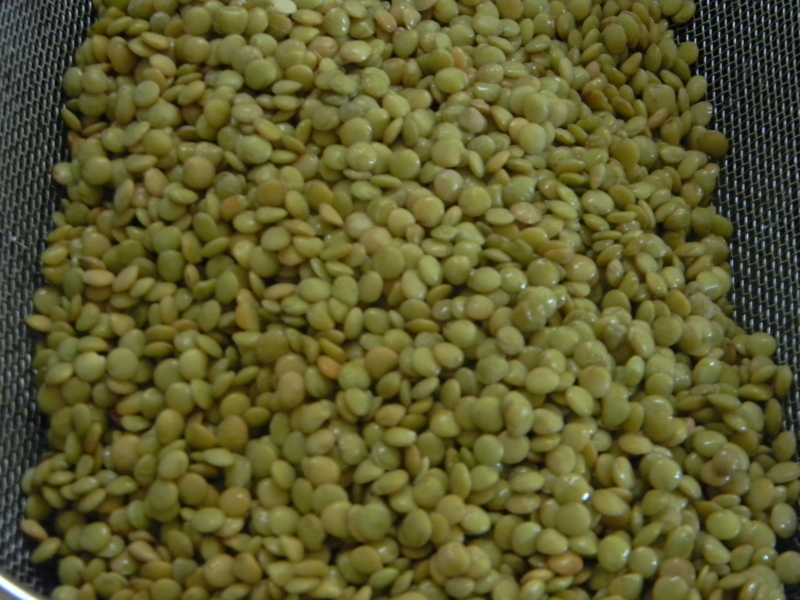 In a large bowl, soak the lentils covered in water for 1 hour. Drain lentils and set aside. In a large heavy-bottomed pot, heat 2 tablespoons of the olive oil over medium heat. 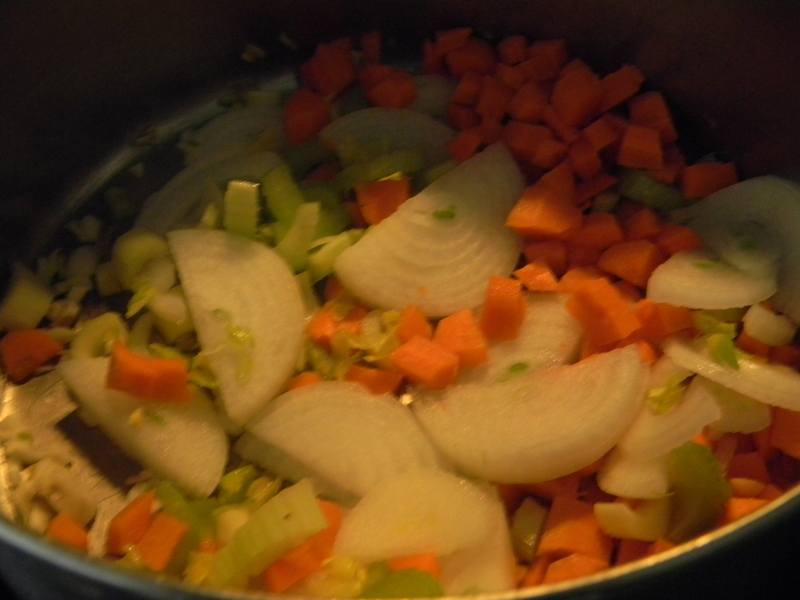 Add the garlic, onion, carrots, celery, and thyme and saute for about 5 minutes. Add the lentils and chicken broth and bring to a boil. Reduce heat to medium low, cover and simmer over low heat for about 45 minutes until the lentils are tender. 2.) Remove the thyme sprigs from the pot. In a blender, working in small batches, blend the soup on a low setting until pureed. Be careful to not explode the blender by pouring in too much hot soup. Cover the blender with a kitchen towel to catch any hot liquid. You may also use a hand-held blender for this if you have one. 3.) In a medium saute pan, heat the remaining 2 tablespoons olive oil over medium heat. 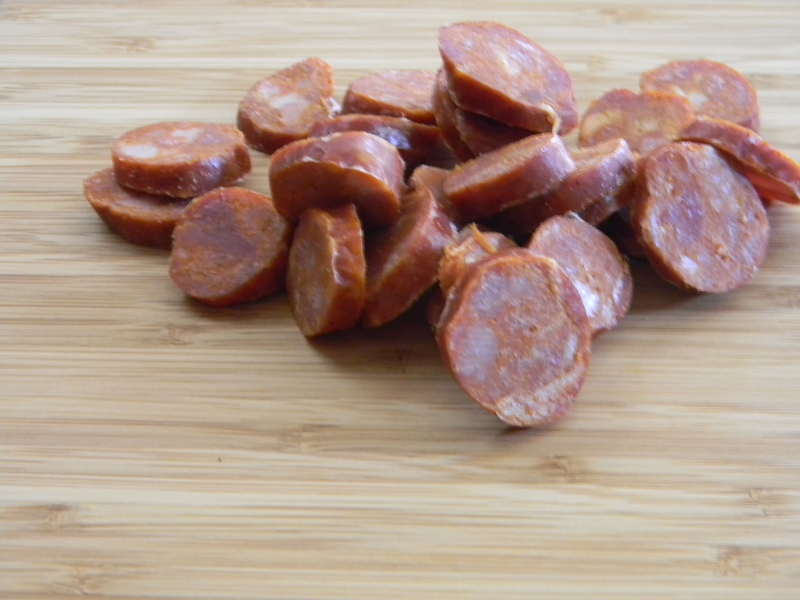 Add chorizo slices (if using Mexican chorizo, remove the casing first) to the warm oil and saute until they darken and curl a bit at the edges, about 1 minute on each side. Do not drain the juices from the pan as you can use it to drizzle a bit over top of each soup bowl. 4.) 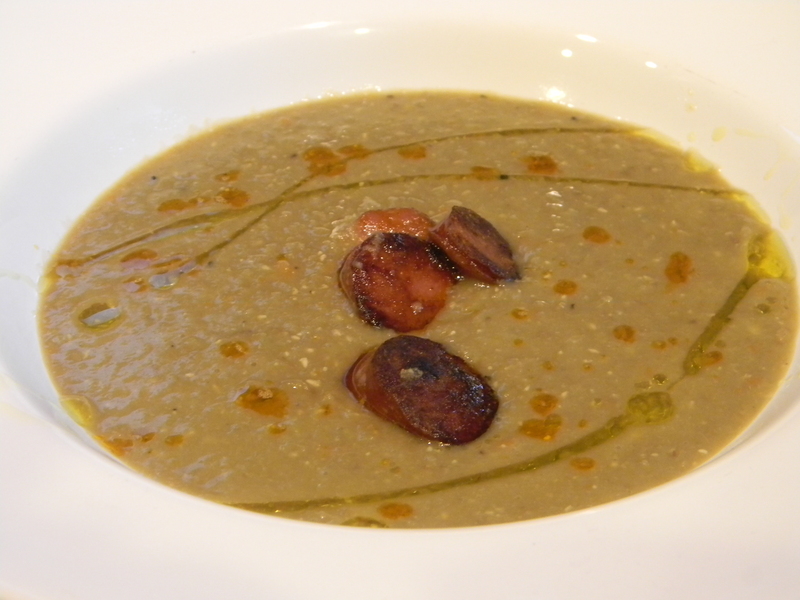 To serve, ladle the soup into bowls and top with a few slices of the chorizo and a bit of the brightly colored pan juices. Drizzle with a bit more olive oil and serve with lemon wedges.